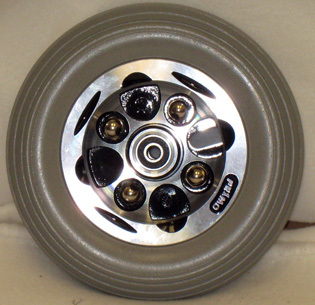 Alloy, 2 piece caster with urethane rib tire. Takes B10 bearings. Each wheel takes two bearings.